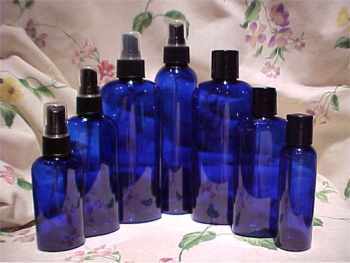 PET plastic bottles are suitable for body/massage oils, room sprays, hydrosols, carrier oils, and diluted essential oils. For essential oils, synergies, herbal tinctures, and hydrosols. Can be used on 1/2 oz. or 1 oz. bottles. Never store essential oils with droppers attached for long periods. Always replace the original orifice reducer cap for long-term storage. These are the droppers I use in my lab. They're sturdy and reusable if you rinse them in alcohol. Or store separately in a plastic bag marked with the name of the oil. They hold 3 ml, measured by the 1/2 ml. 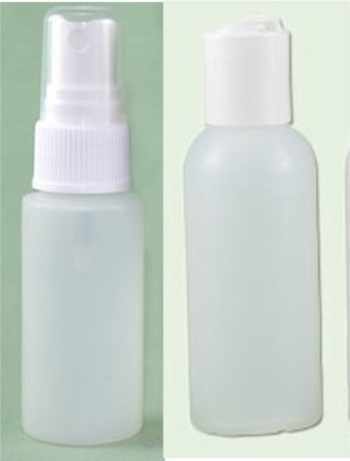 This is the sturdy little bottle that I package the travel size skincare products in. It holds 7 ml, which is about 1/3 oz. Natural HDPE plain top, .5" x 1.5"